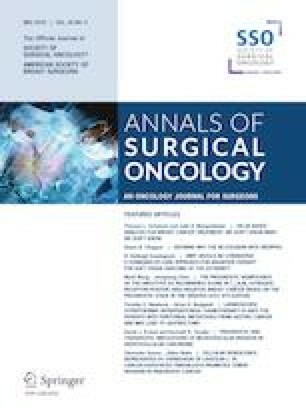 The aim of this study is to evaluate the safety and efficacy of induction modified 5-fluorouracil, leucovorin, and oxaliplatin (mFOLFOX6) plus bevacizumab followed by S− 1-based chemoradiotherapy in magnetic resonance imaging (MRI)-defined poor-risk locally advanced low rectal cancer. This was a prospective phase II trial at a single comprehensive cancer center. The primary endpoint was the pathological complete response (pCR) rate. Eligible patients had clinical stage II–III low rectal adenocarcinoma with any of the following MRI-defined poor-risk features: circumferential resection margin (CRM) ≤ 1 mm, cT4, positive lateral nodes, mesorectal N2 disease, and/or requiring abdominoperineal resection. Patients received six cycles of mFOLFOX6 with 5 mg/kg bevacizumab followed by oral S-1 (80 mg/m2/day on days 1–14 and 22–35) plus radiotherapy (50.4 Gy). Surgery was conducted through a laparoscopic approach. Lateral node dissection was selectively added when the patient had enlarged lateral nodes. A total of 43 patients were enrolled. Grade 3–4 adverse events occurred in nine patients during induction chemotherapy and in five patients during chemoradiotherapy. One patient declined surgery with a clinical complete response. 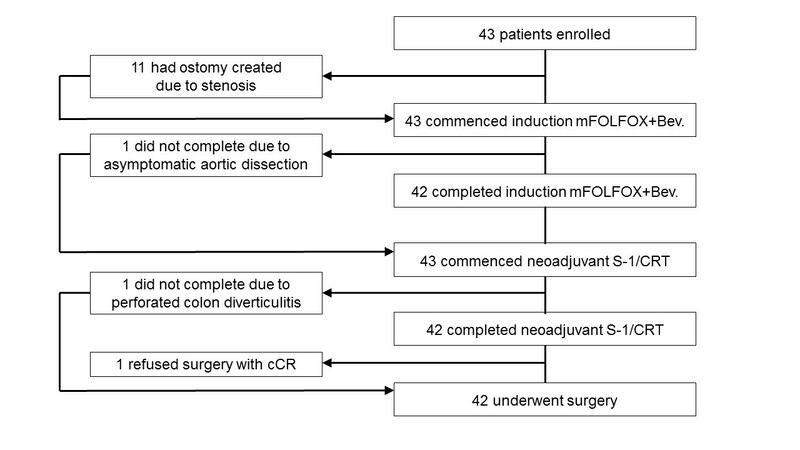 Forty-two patients underwent surgery, and 16 had pCR [37.2%, 95% confidence interval (CI) 24.4–52.1%]. 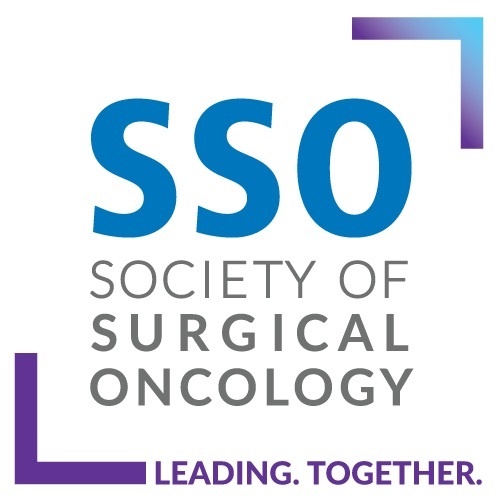 All underwent R0 resection without conversion, including combined resection of adjacent structures (n = 14) and lateral node dissection (n = 30). Clavien–Dindo grade 3–4 complications occurred in six patients (14.3%). 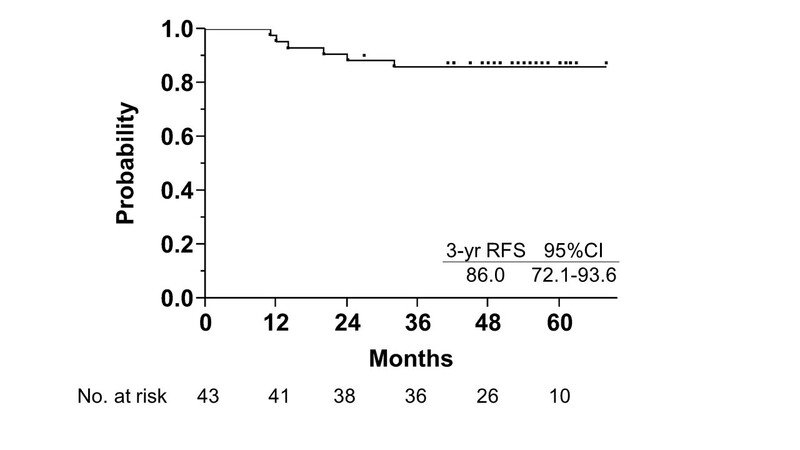 With median follow-up of 52 months, six developed recurrences (lung n = 5, local n = 1; 3-year relapse-free survival 86.0%). This study achieved a high pCR rate with favorable toxicity and postoperative complications in poor-risk locally advanced low rectal cancer. Multicenter study is warranted to evaluate this regimen. The online version of this article ( https://doi.org/10.1245/s10434-019-07342-7) contains supplementary material, which is available to authorized users. This study was supported by grants from the Japanese Foundation for Multidisciplinary Treatment of Cancer, Takeda Science Foundation, and Sumitomo Mitsui Banking Corporation. This research was funded in part by grants from the Japanese Foundation for Multidisciplinary Treatment of Cancer, Takeda Science Foundation, and Sumitomo Mitsui Banking Corporation. The funders had no role in the study design, data collection, data analysis, data interpretation, or writing of the report. The corresponding author had full access to all the data in the study and had the final responsibility for the decision to submit for publication.